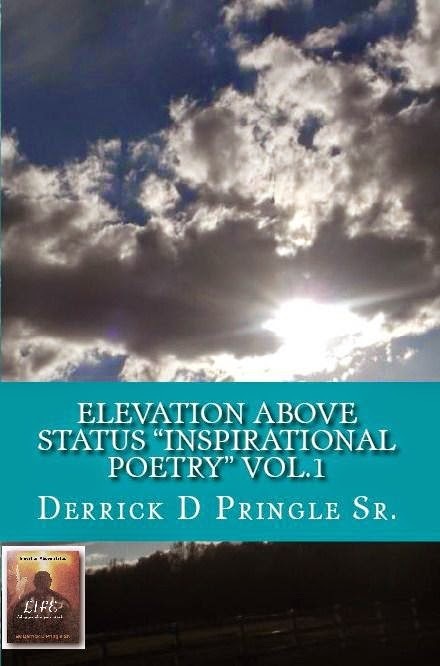 Elevation Above Status: THE WORDS OF A MAN © By Derrick Pringle Sr. 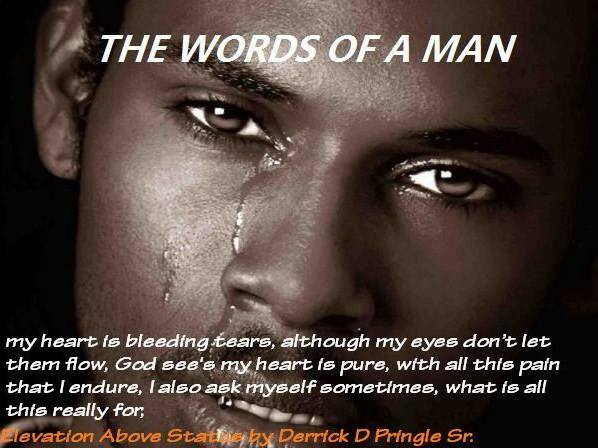 THE WORDS OF A MAN © By Derrick Pringle Sr. I love you honey, more than words can explain, your discrepancies bother me and I know it’s not a game, I pray, wish and hope for the success, I’ve given this my all and I’m doing my best, I feel bad as a man and I’m doing all that I know, my heart is bleeding tears, although my eyes don’t let them flow, God see’s my heart is pure, with all this pain that I endure, I also ask myself sometimes, what is all this really for, I see no appreciation, your my wife with no relation, I’m tired of this sad song and I want to turn the station, this same old sick band, playing this tune which I cant stand, whats even worst my wife cant hear the words of a man. “Elevation Above Status “Inspirations” Vol 1.Influenced by the experiences and the spiritual revelations of its author, and the belief of inspiring and educating humanity. By reading Elevation Above Status “inspirations”, The author is sure you will have a different outlook on life, greater spiritual connection with your soul, receive multiple confirmations on previous life experience conclusions and use many of the teachings in your everyday Activities.